Apple has already issued the new iOS this month. But are you still thinking about updating your iPhone or not? According to Apple, iOS 11 is better than before, and iPhone and iPad with iOS 11 will be the most powerful devices they have ever been. As a rule of thumb, every year Apple will add new features in its system. Of course, iOS 11 is without exception. In terms of the new features in iOS 11, some are easy to be found, but others are buried in the settings. Though these hidden features seem secret, some of them are very useful and deserve to direct our attention to. 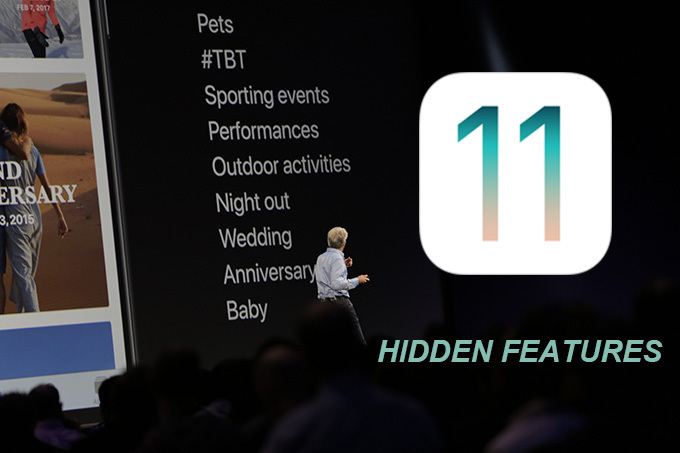 This article will introduce 13 hidden features in iOS 11 to you. iOS 11 can automatically answer calls after you set it. This is a really important feature for people who want to avoid some calls from people they dislike, or for those people who are in a meeting or are involved in other scenarios. You can go to “Settings”, choose “General”, find “Accessibility” and then select “Call Audio Routing” > “Auto-Answer Calls” to open this mode. With iOS 11, you can rearrange multiple apps at the same time. This can help clean your home screen faster than ever. You can first hold down on an app as you usually do when you want to delete or move it and tap on other apps or folders to select them all. Then these apps or folders you selected will move to cover the first app’s icon at once. 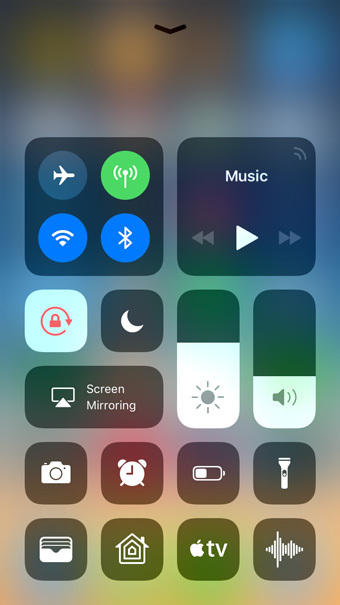 This iOS 11 feature enables you to customize the Control Center, for example, you can add and organize additional controls to appear in the Control Center. It’s a good experience for you to quickly activate some functions from the Control Center. You can go to Settings and select Control Center > Customize Controls. Then click on the plus button to add a toggle, and click on the minus button to remove it. When you are facing an emergency, you can just tap on the sleep/wake button five times to call the emergency services’ number in your country. If you are using an iPhone X, then there is a little difference. You need to long press sleep/wake button and volume button to activate the emergency mode. Storage is sometimes also an issu no matter how big your iPhone is. The iOS 11 now will help you maximize storage automatically when your phone has low storage. This iOS 11 hidden feature gives you several recommendations, such as Offload Unused Apps, Auto Delete Old Conversions, and Review Large Attachments. After you enable these options, your phone will do these for you automatically. Let’s take the example that a friend asks for your WI-FI password, but you don’t want to dictate it because it is too complicated. If both of you are using iOS 11, and you are close to each other, in the case when your friend selects your Wi-Fi network, a popup will ask you whether you want to share your password with the device. Through this way, you can effortlessly and quickly share your Wi-Fi’s password with your friends. Now creating a PDF with your iPhone is not difficult. You just need to open any Safari page, and click on the share button to choose “Create PDF”. Surely, you can get a PDF file more quickly with this method. iOS has a dark mode now. This iOS 11 hidden feature will invert the color of display except for images, media, and some apps that use dark color styles. You can go to “Settings”, choose General > Accessibility > Display Accommodations > Invert Colors and choose “Smart Invert”. You can now get an article offline in Safari if you use iOS 11. After you enable the “Automatically Save Offline” function, it will automatically save all reading list items from iCloud for offline reading. In case that someone spies your messages on your locked screen, you can disable notification previews. You can go to “Settings”, choose “Notifications”> “Show Previews”. Then there are three modes for you, “Always”, “When Unlocked” and “Never”. You can choose the most suitable one according to your requirements. This is another hidden feature in iOS 11. This feature is helpful when you want to take a leveled photo. You can go to “Settings”, choose “Camera”, and turn on “Grid”. Then you can use this tool when taking a photo. Siri has refreshed its interface and has gotten an enhancement of its voice tone. 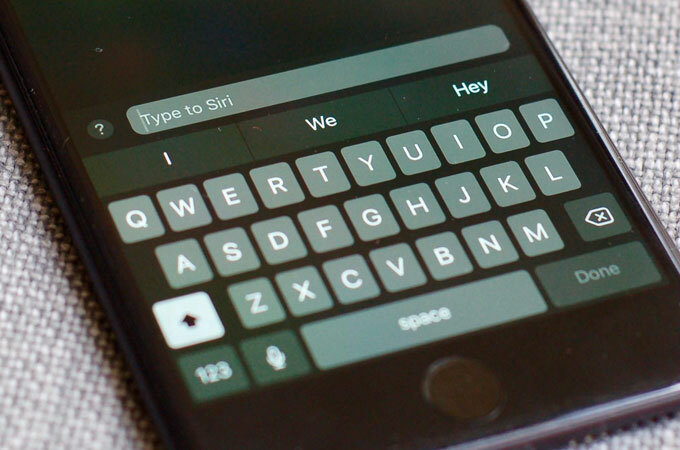 In spite of that, in case you are not convenient to speak, Siri now enables you to type and send commands. You can go to “Settings”, choose “General”> “Accessibility”, and then select “Type to Siri”. There is another way to shut down your phone in iOS 11. You can go to “Settings” > “General”, and tap on “Shut down” button. Absolutely, this way to power down your phone can be the standby tool when the power down button is out of order.